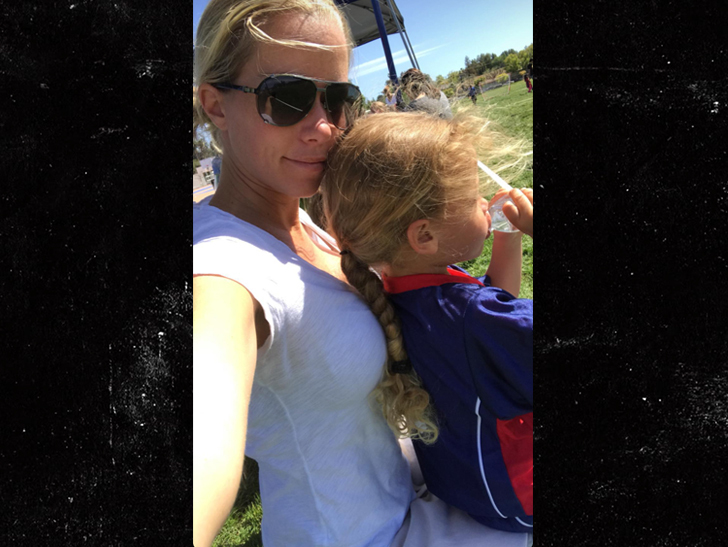 Kendra Wilkinson and Hank Baskett aren’t letting their pending divorce get in the way of their kids — ’cause the two of them reunited just days after she filed for divorce. Kendra and Hank both attended their 3-year-old daughter Alijah‘s soccer game Sunday, which Kendra documented on social media. At one point she points the camera at her estranged hubby, who’s almost within arm’s reach, standing next to their kid. The two parents even shouted words of encouragement to Alijah as she dribbled around on the field. It would seem, based on this video, they’re on the same team when it comes to their little ones, even in the face of a very public breakup and eventual divorce filing. We broke the story … Kendra officially filed for divorce from Hank Friday, citing irreconcilable differences. She’s seeking joint legal and physical custody of their two kids. Kendra became quite emotional in the days leading up to her filing, saying she loved Hank but that she “did everything I could.” They got married in 2009.